Billionaire businessman and founder of Aiteo Group, Mr. Benedict Peters, has denied social media reports that he is funding the new coalition reportedly being headed by former President Olusegun Obasanjo. Peters said this in a statement on Friday night. He said, “For the record, I wish to state, categorically and unequivocally, that I am not a financier of the said organisation or any socio-political partisan association or political party in Nigeria or anywhere else in the world. “As an international businessman of repute, I have deliberately stayed away from politics preferring, instead, to focus and give my all to the development of my business interests across the African continent. Peters, who is wanted by the Economic and Financial Crimes Commission but was recently declared a legitimate businessman by Justice Ashi Valentine of an FCT High Court, said neither himself nor his company was supporting any political movement. He said the reports were part of a grand plot to pit him against the Federal Government. 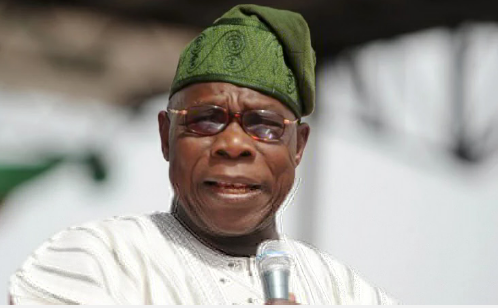 The businessman admitted that he was close to Obasanjo, adding that the former President and his late father were friends and he has remained close to Obasanjo for over 30 years. Peters, however, stated that the former President had never discussed politics with him. He added, “In the publishers’ indecent haste to malign the former president and I, amongst others, they demonstrated a shameful shallowness that paid no heed to the very personal nature of our relationship. The billionaire said he would be forced to take legal action against his detractors if they continued to spread rumours about him on social media. Peters added, “As unconvincing and implausible as these allegations are, I am constrained to take steps to address these unbridled excesses as a means of protecting my family, my business and I from these unwarranted personal attacks. “Accordingly, I have instructed my lawyers to immediately take steps to obtain a retraction, in the absence of which they are to take all steps available to provide me with protection, remedy and relief.